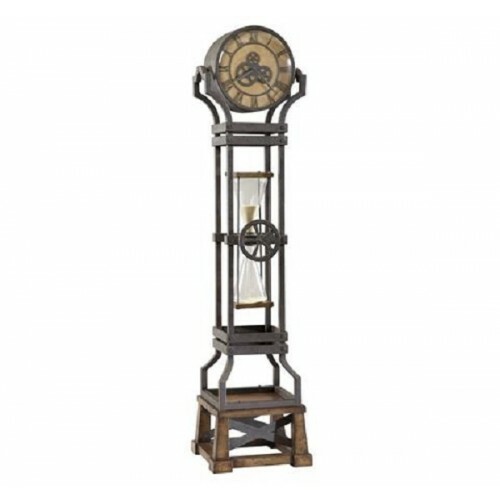 This clock versatile, fashion forward design will fit many different home decor styles. It will even complement Steampunk decor. Heavily distressed, weathered wood finished base with metal ÃƒÆ’¢Ãƒ¢‚¬Å¡¬Ãƒ€¦ X  accenting the front and back.